I come from a family who has fitness ingrained in them. My dad has put in so much effort to create his own gym (at home) that it is quite good to work-out in peace. 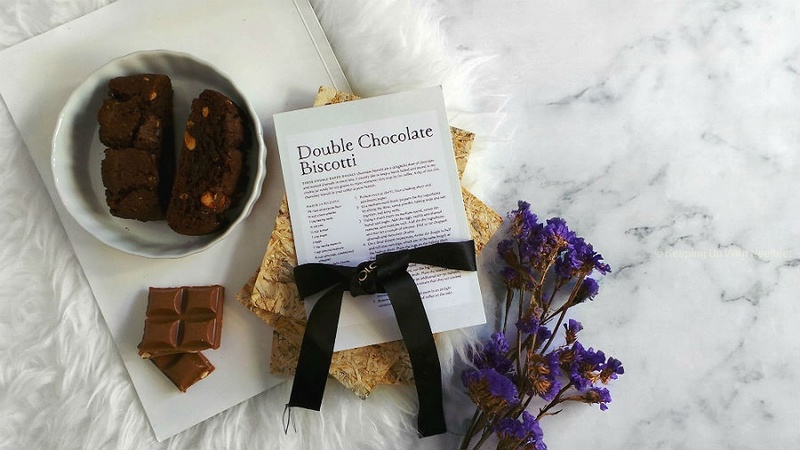 I am a firm believer of eating what you like but in moderation. I know people eliminate certain food from their diet completely. While that may take place for health reasons, there are those who will starve to attain their fitness goals. I'm not going to go on about why you shouldn't do that, but remember this- eat in moderation, know what's right for you and exercise. Work-outs are of utmost importance and something you shouldn't ignore. As we age, our bodies fail to respond to various things as effectively as they would have otherwise. One of them is exercise. I see several people over the age of 50 exercising for the first time. They ignored everything when they were younger (for whatever reasons) and they are pushing their bodies now to deliver or simply working out because the doctor has advised them to. While they may attain results, it may not be as effective in terms of expected timelines. And this brings me to my next point. Decathlon, a sports retailer invited me to a fitness session which I happily obliged. Say fitness or work-out and I'm all ears. I would always walk past the Mirdif City Center store but this time around got the chance to see what's on the inside. And I was truly impressed. It's an oasis of sports and outdoor based products. Think about it this way- you want to go camping, they have tents and that jazz. Golfing? Yes AND they also have a simulator in-store! 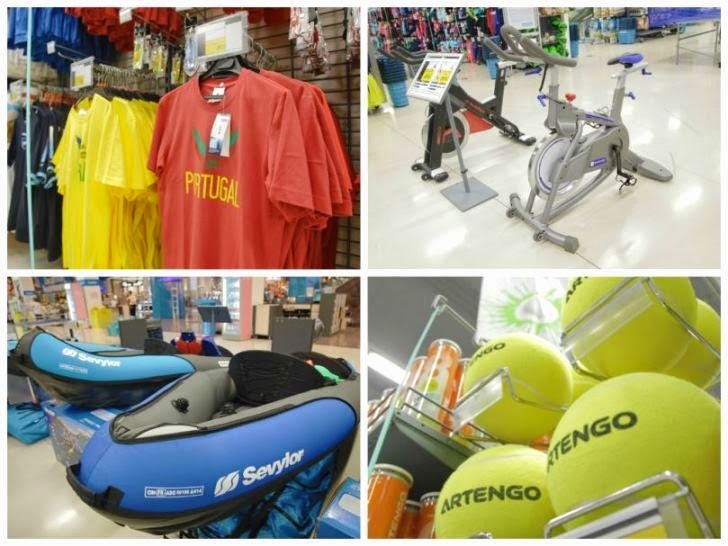 Swimming, horse-riding, fishing, running, basketball, hiking- almost every sporting activity you can think, Decathlon has the supporting items for it. It was incredible to see them stock horse-riding clothing and accessories. Horse-riding is a sport I favor and swimming is my favorite, so it was absolutely grand to have access to such under one roof. Decathlon also houses a few other brands such as Skechers and a plethora of fitness related clothing and accessories for men, women and children. Did I mention they have trampolines and mobile table tennis nets? Like I said, this place is a gem for people like me. I'm quite glad to have discovered Decathlon- I will be paying them a visit over the weekend to pick out a few gym clothes! 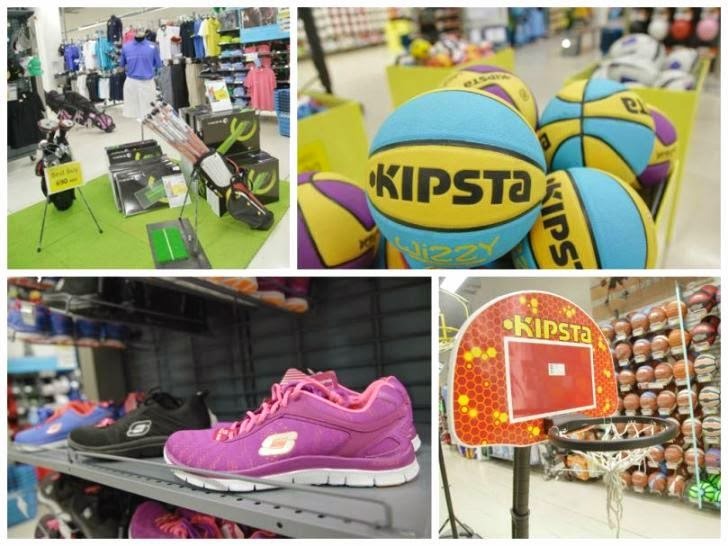 Decathlon is located in Mirdif City Center, Dubai. Check out their Facebook page for more info.